The team Deep Down, Steve & Jojo, was selected by the F.L.A.S.S.A. 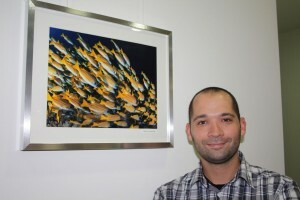 to represent Luxembourg in the 15th CMAS World Championships in Underwater Photography taking place in Zeeland (NL) in May, 2015. 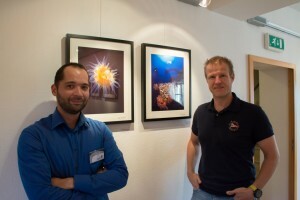 Together with the association United Artists Luxembourg a.s.b.l., Steve was able to exhibit in Kehlen (L) from October 10th to October 14th, 2014 his photographs of the underwater world to people interested in art and photography. 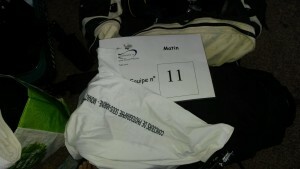 From the 3rd to the 5th October 2014, the duo composed of Steve and Jojo returned to the Principality to participate in this year’s national competition, as there was no international competition. 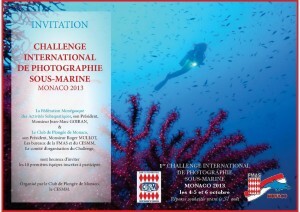 The First International Challenge of Underwater Photography of Monaco sponsored by the Monegasque Federation of Subaquatiques took place from 3d to 6th of October 2013.